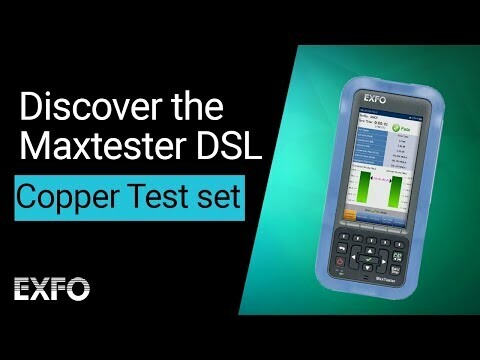 The EXFO FOT-932 MaxTester is a multifunction loss tester developed to help assist network service providers, network installation processes, CATV operators, and provides fully automated loss test results in 10 seconds for up to three wavelengths, as well as automatic ORL and fiber-length measurement. The FOT-932X comes with a large, high-resolution color display and nine hours autonomy -- all this and more in an ergonomic, eye-catching handheld package built for today's fiber-optic testing requirements. This unit easily and efficiently provides complete, high-quality test documentation. Its data logging and management features help users quickly access and download test results to any PC through the RS-232 port for in-depth analysis and first-class report generation. The FOT-932X is part of EXFO's renowned FTTx series of optical testing devices, and enables users to test passive optical networks at wavelengths of 1310nm, 1490nm, and 1550nm in both FTTH and FTTP networks. If you are looking for a new or well-maintained used EXFO FOT-932X FTTx return/loss tester for rent or lease, contact us or request a quote today.